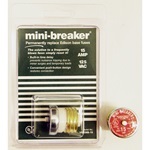 Mini-Breaker. Edison base resettable circuit protector. 125V, 15A. Clamshell packaged. 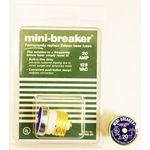 Mini-Breaker. Edison base resettable circuit protector. 125V, 20A. Clamshell packaged.